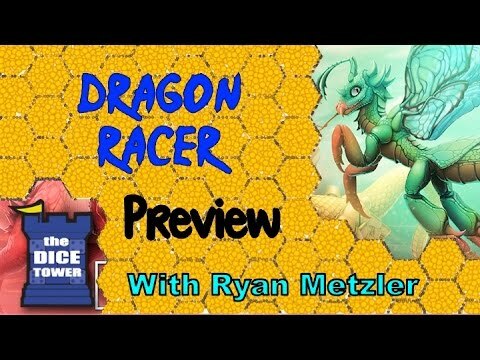 Welcome to the world of Dragon Racing! A strange racetrack filled with all manner of wondrous and mighty dragons awaits you. Recruit dragons from the racetrack and fire them up to get them racing. The key to your success lies in supplying your racing team with a stream of support from other dragons on the racetrack. In the end only the fastest racer will be victorious! The player who has moved the furthest along the racetrack at the end of the 7th turn is the winner of the game. During each turn players draft dragon cards – aiming to collect a set that matches the support requirements of the dragons on their racing team. When a dragon’s requirements are met they are Fired Up and advance the player along the racetrack.